Your business is all about your clients. Because let’s be real if you aren’t making money in your business then you aren’t in business right? Figuring out who your ideal client is can be a troubling, stress filled process but so important so you can easily and effectively attract your ideal clients and magnetise them with your message. Ready to nail your ideal client once and for all? Pin the image above... and save it for later! 1 - What problem do you solve? What specific problem do you solve? What result do you provide? 2- Who has this problem? 3 - Who is willing to pay you for the solution to this problem? This is the killer: again you need to make money from your business right? Who is ready, willing and ABLE to pay you for your service? In some cases your ideal client may not know they have a problem but once you educate them on this problem are they able to pay you for it? Example - if you sell treats for dogs your ideal client isn’t the dog - it’s the owner, they are the ones willing and able to buy your product! Now after nailing your ideal client you want to create your avatar. Creating content, building your list/ community - making money in your business is a whole lot simpler when talking to that ONE person who wants what you have to offer. Not trying to appeal to everyone and their mom - just that one person because here’s a secret: when you get targeted you actually appeal to a whole lot more people- everyone wants a specialist, no one’s too keen on the generalist. Be the BEST for that ONE person and you will attract more potential clients than you know what to do with in no time. Download your free cheat sheet and fill it out now. After creating your avatar we’re doing one more step that will save you a ton of headache and make the world of difference: nailing your dream client. This one small step will allow you to enjoy every single day you spend working with clients. What’s the difference between your ideal client and your dream client? 2 - Your dream client is all of the above and who you really want to work with and LOVE working with! Inside the worksheet I included a section to help you nail your dream client. BONUS: I show you how to attract them with ease inside your marketing! When you build your sales and marketing funnel (your online sales machine that works for you behind the scenes), you want to be sure that you are attracting your DREAM clients that you love to work with and that love working with you and get amazing results! 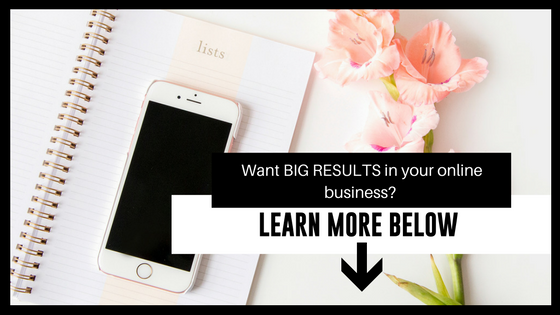 Hear YES more often so you’re now earning more in your business! This and more is all possible! But it all gets started with knowing WHO you want to serve and WHO will pay you for your service! Don’t forget to look out for Day 2 in the series tomorrow at 11 a.m. Eastern! And to dive even deeper join me for a FREE live masterclass May 2nd CONVERT your potential clients into paying clients (with ease). Learn more here now.